For a brief period, some Deviant Art people were recreating cartoon characters in surreal/realistic styles. I jumped right on board. 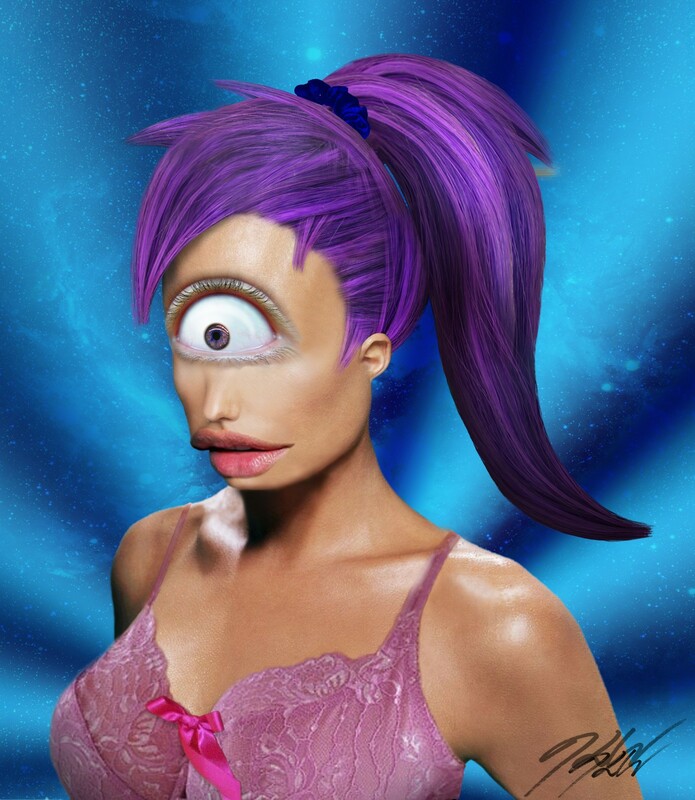 This is Leela from Futurama by way of a stock photo and a lot of Photoshop work.